How Can Braces Correct An Overbite - Adelberg Montalvan Pediatric Dental PC & Orthodontics too! Overbites are an extremely common dental problem, but if they are not corrected, dental problems can occur. That’s why the American Association of Orthodontists recommends that children are evaluated for orthodontic treatment at the age of 7. At this age, we can determine the best course of treatment and fix overbites, or any other dental problems. An overbite is a condition where the upper front teeth overlap the lower front teeth. There can be a range in the overlap, from covering ⅓ of the bottom row of teeth to completely reach the gum area. What people commonly think of as an overbite is actually known as an overjet. This means that your upper front teeth sit forward on the lower front teeth. This projection may prevent you from comfortably closing your lips. How do you correct an overbite? The course of treatment for your overbite depends on your individual orthodontic needs. Rubber Bands – Rubber bands are used to help correct overbites in the form of projections. The rubber bands work to bridge the gap of front teeth that are much further ahead of the lower teeth. Turbo Brackets – Turbo brackets are used to reduce deep overbites where the front teeth overlap the lower teeth. These appliances are placed on the back of the top two front teeth. They prevent the patient from biting down all the way so that the teeth have room to grow in. Is it time to schedule your child’s orthodontic consultation? 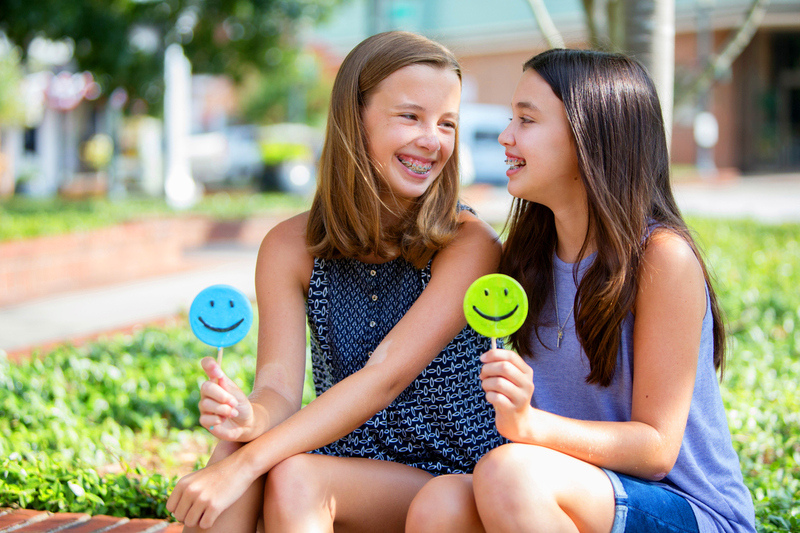 Give us a call and schedule an appointment at one of our three Long Island locations to determine the orthodontic treatment that is best for your child’s needs.